Once a week, every class has singing with teacher, Kevin O’Sullivan. 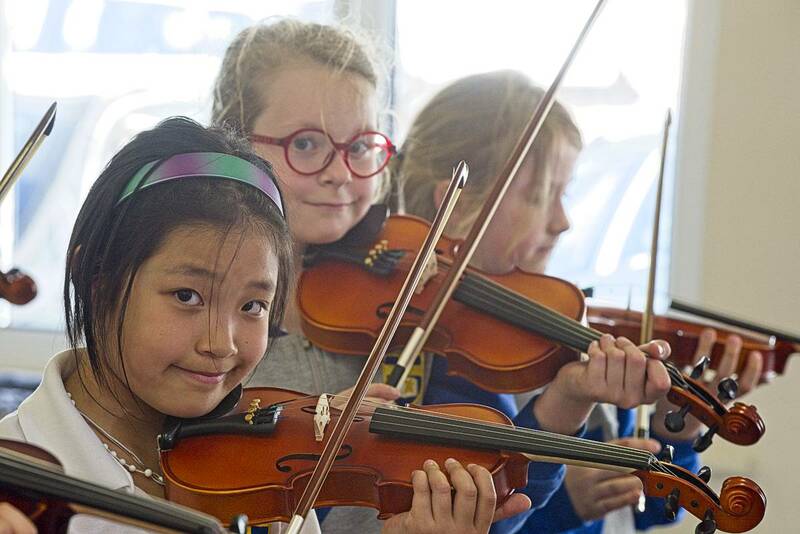 Each student is encouraged to find and develop their voice through songs and games. Kevin, a qualified music teacher who majored in singing, builds students’ confidence and vocal technique, preparing them for the many singing opportunities throughout school life. Christmas plays, school masses and other special events teach the students a wide range of secular and sacred repertoire. Children also learn about the rudiments of music theory in an approach based on the Kodály method: exploring musical concepts with voice and song. 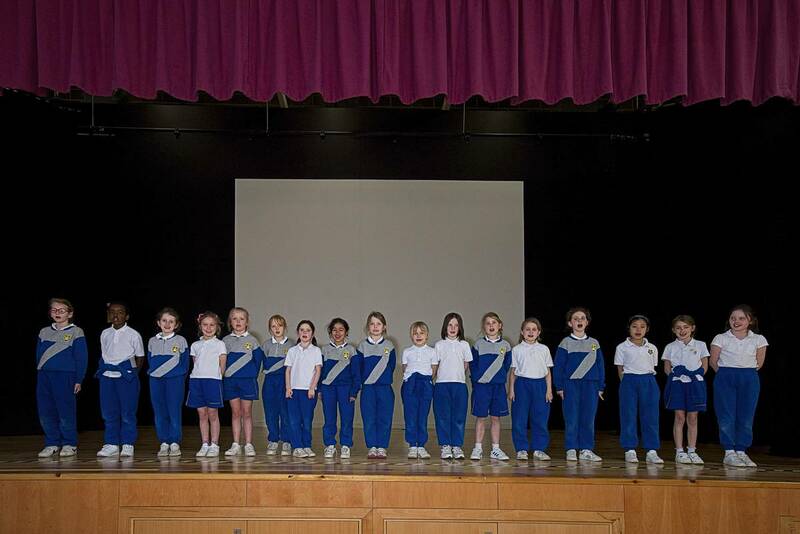 The School Choir meet at 8:15am every Wednesday. It is open to any student from Class 3 to 6. 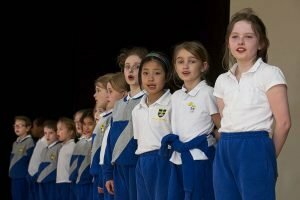 School Choir gives choristers extra singing opportunities and aims to take singing technique to the next level. The Choir have featured on RTÉ Radio Jr. as part of LyricFM’s Choirs for Christmas Competition, competed in the Feis Ceoil, auditioned for the Late Late Toy Show and sprung a surprise, singing a teacher’s favourite song to wish her the best for her wedding. 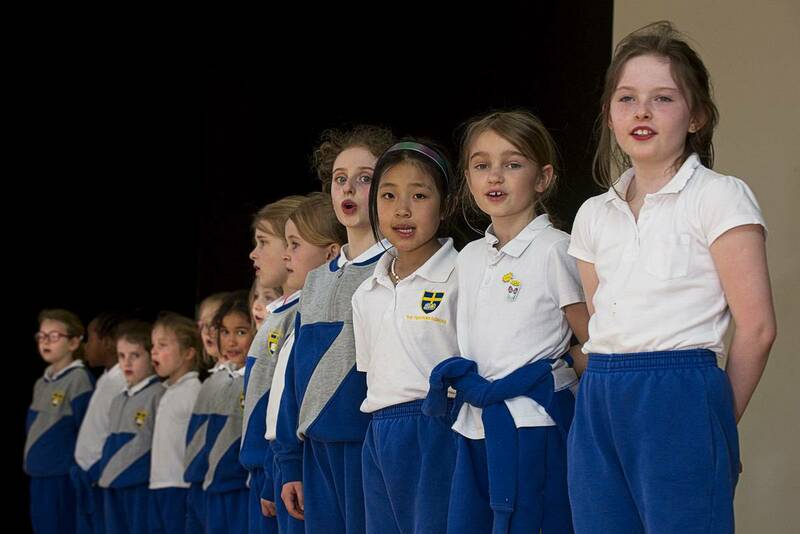 The Choir sing annually at the Parish Laudate/Emmanuel Concert and compete at least once a year in a choral competition such as the Wesley Inter-Schools Music Festival.